"I'm doing the best I can with this stupid list!" Gravitas Ventures has debuted an official trailer for indie romantic comedy Alex & The List, made by director Harris Goldberg. This looks like a painfully awkward, somewhat amusing, kitschy indie romantic comedy film that looks like a fun performance piece for the cast. Jennifer Morrison co-stars with Patrick Fugit as a couple seemingly doing well. But one day, Katherine presents a list of "improvements" to make him better; at first he rejects but then concedes as he embarks on a journey through love. The full cast includes Karen Gillan, Julie Gonzalo, Eddie Kaye Thomas, and JoBeth Williams. This seems like it could be fun, but still very cheesy, as expected for these kind of films. Alex, a lovable, unassuming dog trainer is in love with a great woman - Katherine - smart, talented, from a good family. Katherine adores Alex's quirky sense of humor, honesty and capacity to listen. Having decided to pop the question, Alex is blindsided when Katherine produces a detailed list of well-thought-out "improvements" she feels will tweak Alex on their way to becoming the ideal couple. Alex instinctively rejects the suggestion that he needs to change anything. But with the threat of a new competitor, Alex decides to "do the list." Guided by a coterie of friends that include: Dave, Alex's loyal childhood buddy, best female friend Lily, her husband Michael, and their son, Nicky, Alex's journey has him reconsider and question his beliefs, values & world. Alex & The List is directed by Canadian filmmaker Harris Goldberg, of the films Les Boys, Love Conquers Paul, and Numb previously. The screenplay is by Kristen D'Alessio and Harris Goldberg. 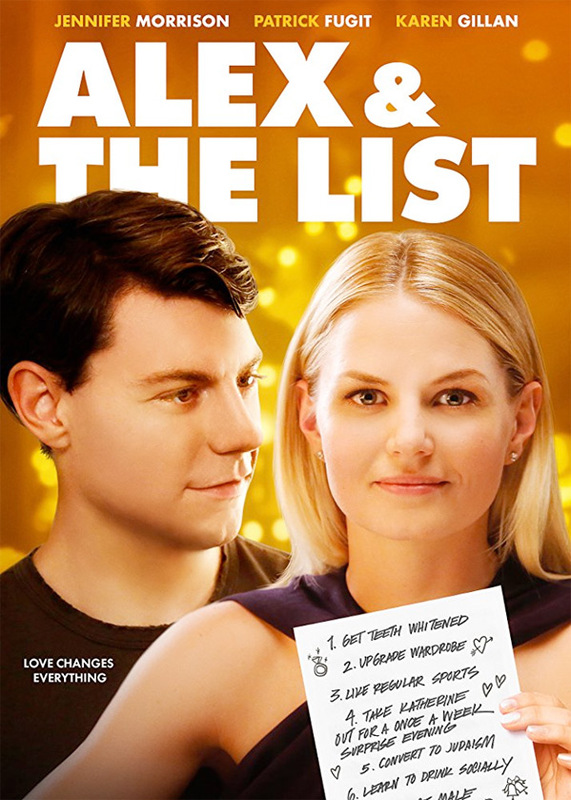 Gravitas releases Alex & The List direct-to-VOD starting May 4th next month. Anyone?